To most people summer means no school, vacations, barbeques and going to the beach. To the penguin staff it means breeding season. Earlier this spring we brought four of our SSP-approved (meaning specifically chosen to produce a genetically healthy and diverse population) little blue penguin breeding pairs behind the scenes to start the breeding season. 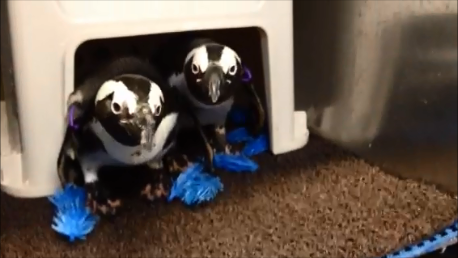 Just recently, seven of our SSP-approved African penguin breeding pairs joined the little blue penguins in our behind the scenes breeding area. 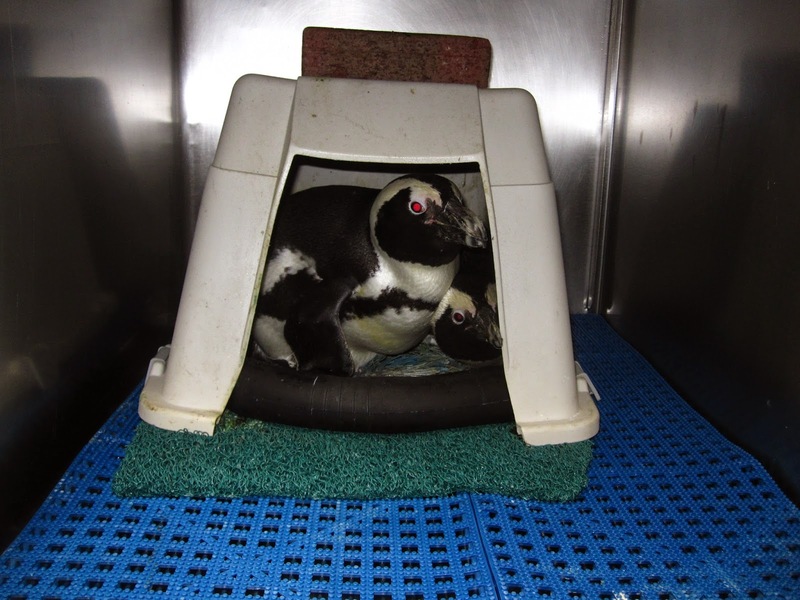 Over the next few months we hoped these penguins will bond, lay eggs, and raise penguin chicks before they are returned to the exhibit. We have had very successful breeding seasons over the years and we are hoping for another successful breeding season this year. An “armful” of African penguin chicks from a previous breeding season; we are hopeful this year will be just as successful. And check back often for updates from this year’s season!